Last summer, Sony’s Screen Gems penciled in a release date for Resident Evil 6 on September 12, 2014, and since then, nothing. Director Paul W.S. Anderson was said to be on board for the project, along with Mila Jovovich set to return, but there's been no movement or official announcements since that time, until now. Speaking at Beijing International Film Festival (via CNTV), Anderson mentioned he would be returning home to work on "Rising Resident Evil," a potential mix-up in translation that we're going to assume is actually "Resident Evil Rising," before also confirming that cast member Li Bingbing, who plays Ada Wong, will return for the sixth film and that it will "definitely be 3D." At this point, the September release date is definitely not happening, which aligns with what Jovovich wrote on Twitter last year where she speculated it would debut in 2015. 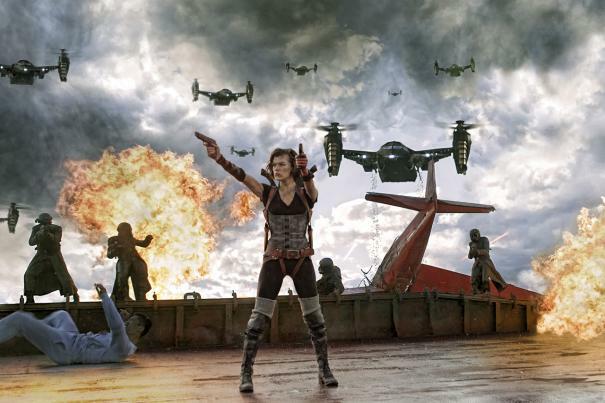 The fifth installment in the series, Resident Evil: Retribution, opened in 2012 and grossed $240 million worldwide. Speaking of "Resident Evil" sequels, Japanese newspaper Sankei Shimbun​ reports that Capcom will officially reveal Resident Evil 7 at this year's E3. What are you hoping to see in the new "Resident Evil" game and film? Let us know in the comments.